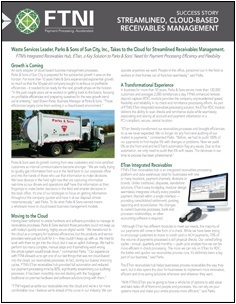 Every day, the American Red Cross works to prevent, prepare for, and respond to disasters. 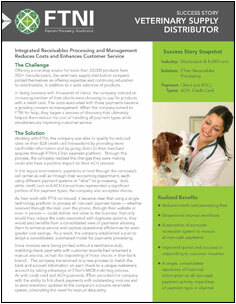 The behind-the-scenes work done by their efficient back office systems helps make it happen. 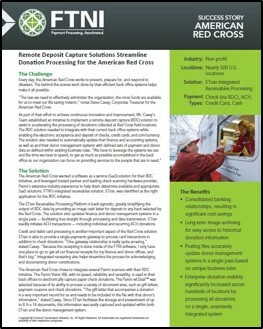 Download the full case study to see how SaaS remote deposit capture (RDC) technology has helped The Red Cross accelerate and streamline donation processing operations. 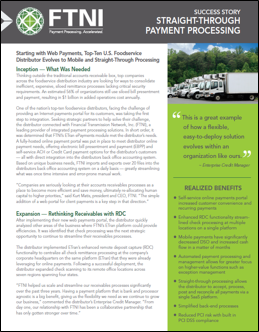 Learn how this distribution company was able to deliver their customers an integrated, fully-hosted, and PCI-compliant Web payment portal with robust electronic bill presentment & payment (EBPP) functionality. 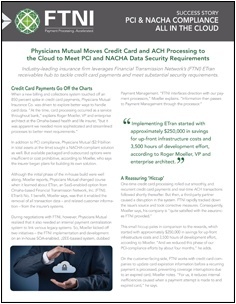 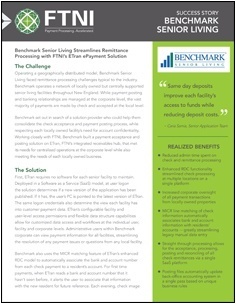 Learn how Benchmark Senior Living was able to streamline payment receipt and leverage multi-level reporting to better manage its receivables using FTNI's Remote Deposit Capture (RDC) solution. 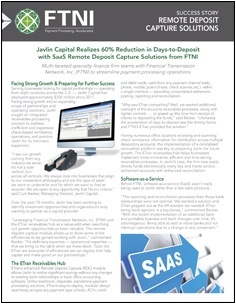 with SaaS remote deposit capture (RDC) solutions from FTNI. 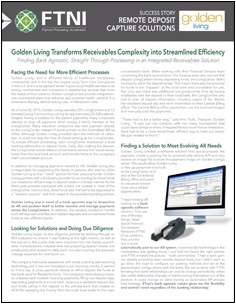 Are you ready to streamline your receivables processes? 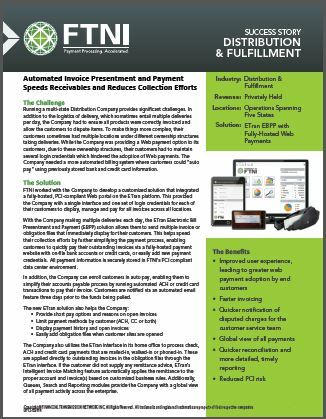 Contact us today to see how we can help you improve cash flow, reduce costs and gain greater oversight of your accounts receivable operations.